Breanna Moore C’15 in one of her own designs for LaBré. From the time she first visited Ghana, Breanna Moore C’15 dreamed of bringing the country’s vibrant textiles to US markets. 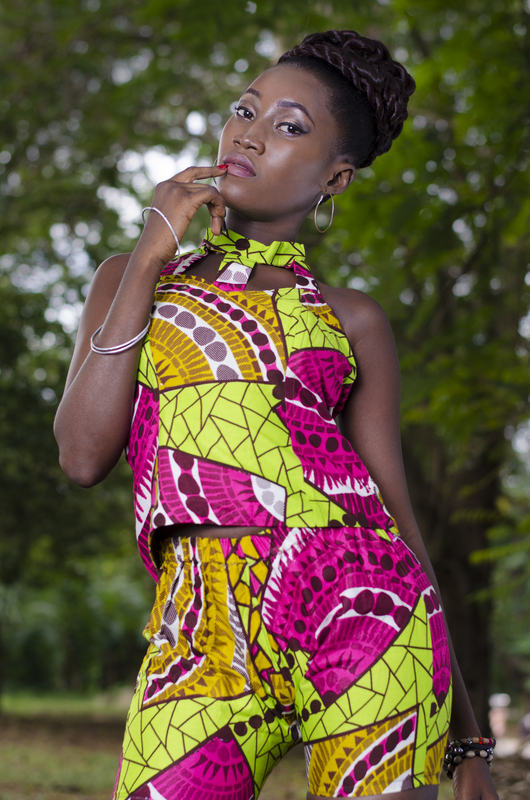 Now she’s turned that passion for traditional African fabrics into her own fashion line: LaBré. Moore comes up with the designs herself, but she says everything is handmade in Ghana by Ghanaian artisans. That includes a tailor who sews full time—he even went to school for it—but often doesn’t have enough customers. It also includes Charlotte and Rebecca: two seamstresses who work at a local college during the day because they couldn’t make a living sewing full time. Moore wants LaBré to help Charlotte, Rebecca and other Ghanaian artisans access the international market and sustain careers in sewing and design. She plans to create new job opportunities in the African country, too, and at the same time promote Ghanaian heritage by preserving its traditional fabrics. Moore first visited Ghana through Penn’s International Development Summer Institute – Africa Program. She spent a month on the Kwame Nkrumah University of Science and Technology campus with IDSI, studied Zulu in South Africa for seven weeks through Penn’s Fulbright-Hays Group Project Abroad, then returned to Ghana for a full semester during her junior year. While most urban Ghanaians wear business suits Monday through Thursday, Moore says people celebrate their heritage with traditional fabrics on Fridays: bright, patterned ankara or kente or batik cloth. 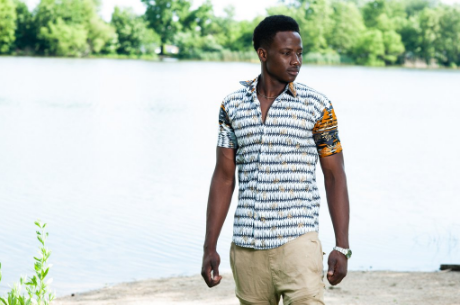 After months of daydreaming, sketching, and filling out loan applications, Moore officially launched LaBré on July 1 with a summer line of apparel for men and women. 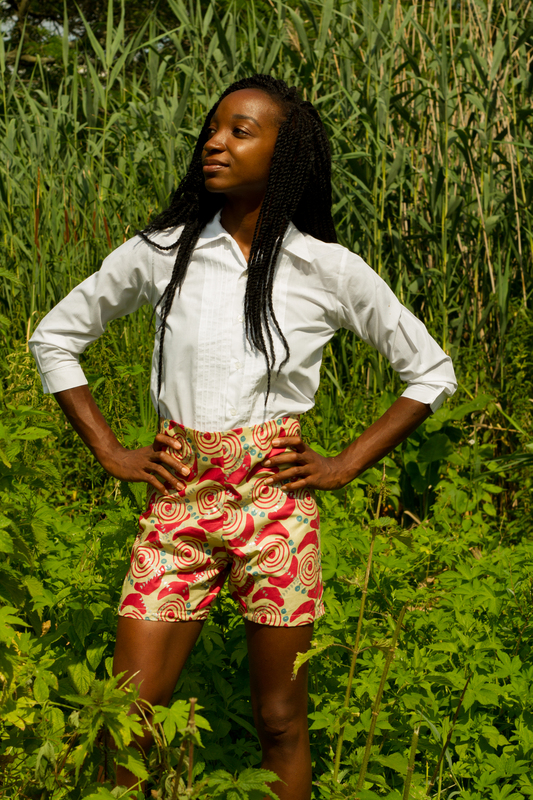 On August 5, she raised $10,000 through a Kickstarter campaign to help with production costs and marketing, and to create more sewing jobs in Ghana. She’s already held several pop-up shops, and on August 20, a fashion show at the Philadelphia Zoo’s Echoes of Africa Family Day. But Moore is still reaching for bigger milestones. She’ll release LaBré’s fall collection on September 22, and is preparing to launch an online marketplace for Ghanaian artisans in the style of Zuvaa. The new platform will add jewelry, purses, ties, hats, scarves and other accessories to the clothing Moore is already selling. With each new category, she says, “I want to make sure I’m sourcing from local Ghanaian artisans who can really use the economic impact.” If the model succeeds, she plans to expand to Nigeria or South Africa next.